Print advertising has been around for centuries and until recently was the main form of advertising. 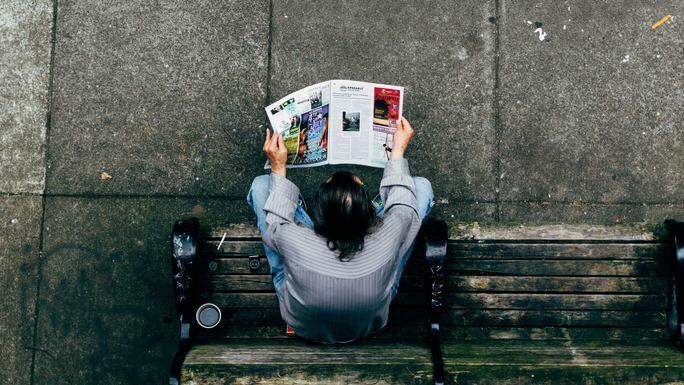 Just because digital marketing is becoming increasingly vital to your business marketing plan doesn’t mean you should overlook print advertising. Print advertising still has an important role to play in your business marketing plan. Print is not dead, yet. Here are five options for print advertising that you should consider for your business marketing plan. Magazines are a great option to place your business’s advertising as most people pick up magazines. The essential part of using a magazine is developing a clear idea of the customer you are advertising to. Print advertising will only be effective if you are advertising where your potential customers will see it. If your business is marketing a household cleaning product, it will attract more positive attention in a magazine that focuses on home living than an adventure magazine. Advertise in the right place. Postcards can be a fun and unexpected option for print advertising. People receive mailers all the time, promising coupons and the like. However, people rarely receive concise, postcard size, advertisements. The allure of postcards has always been their small size; it forces the writer to be creative and concise. Your business marketing might just get a creative boost by having to say more with less space. Business cards are something that professionals use daily, but are they usually considered as a form of advertising? What about as a business marketing priority? Business cards are handed off and traded daily and can leave a lasting impression on the recipient. They stay with your potential customer long after that initial conversation or meal. A creative and attention-grabbing business card can set you apart from the pack. In the same way, an average or uninteresting business card may not jog the recipient’s memory of how much they did like you. Being present in your trade publications is important. Trade publications are the magazines of the professional world. Advertising in the print publications of your trade will have you rubbing shoulders with your competitors. It will keep you relevant in your field and in the minds of potential customers looking for your services. Trade publications also demonstrate to potential customers and competitors that you’re professional and mean business. Keeping your customers in the know keeps you on their minds. By updating your current and potential customers on what is going on and new in your business you’re staying relevant. Newsletters whether published monthly, quarterly, or yearly highlight what’s new, your successes, and overall progress of your business. It is a great way of letting people know the great things that you’re doing without sounding too boastful. Newsletters celebrate the good in your business while advertising for you at the same time. Print advertising may seem obsolete at this point of digital overload, but it still has its place. We must remember that not everyone is as digitally literate as Millennials. Old fashion print advertising can get a makeover to be just as attractive and productive as digital advertising. Print advertising isn’t dead, so let’s get creative with it. If you want help developing eye-catching print advertising PGN Agency is here to help you. Give us a call, at 248-414-6860 today.